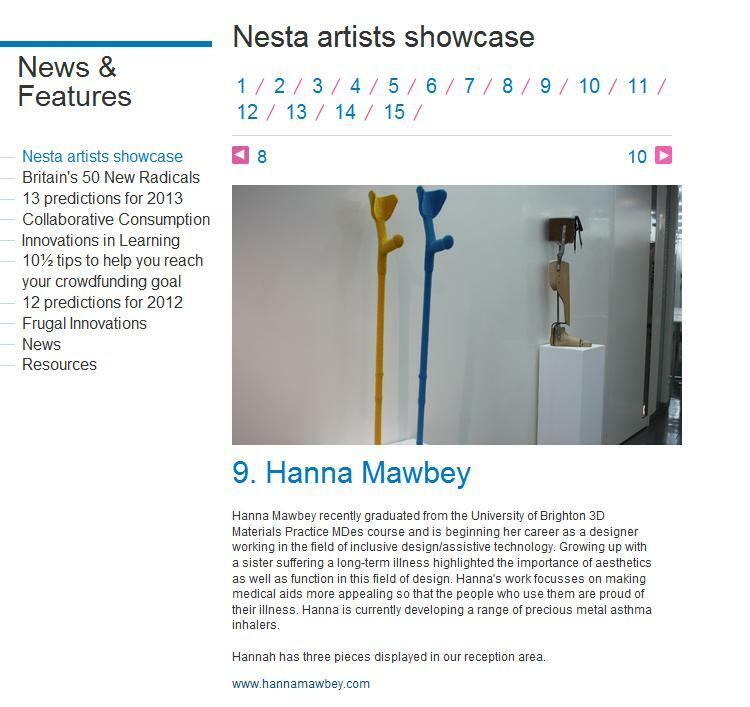 Fantastic to see that Hanna Mawbey, one of our Designing for the Future alumni, has been chosen to be part of the Nesta artists showcase. Hanna Mawbey recently graduated from the University of Brighton 3D Materials Practice MDes course and is beginning her career as a designer working in the field of inclusive design and assistive technology. Growing up with a sister suffering a long-term illness highlighted the importance of aesthetics as well as function in this field of design. Hanna’s work focusses on making medical aids more appealing so that the people who use them are proud of their illness. Hanna is currently developing a range of precious metal asthma inhalers.